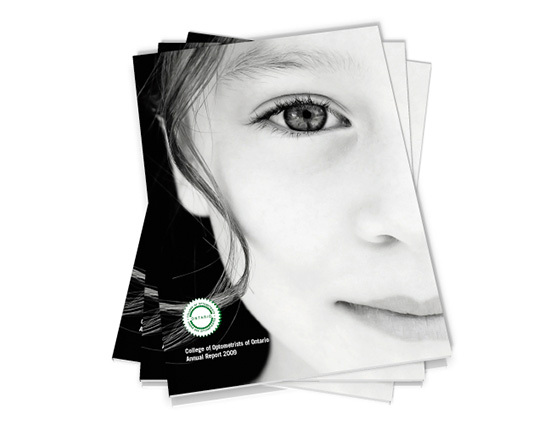 This annual report design pushed the spotlight to the effect of organizations activities, instead of the generic stock photos of glasses and optical instruments. Optometrists choose their vocation to make peoples lives better. This design helps keep that in mind while communicating somewhat dry statistics for the year.